This knee procedure, also called bone realignment, is designed to improve the movement of the patella (the kneecap) to correct patellar tracking disorder. The procedure usually requires hospitalization and general anesthesia. Osteotomy literally means “cutting of the bone.” In a knee osteotomy, either the tibia (shinbone) or femur (thighbone) is cut and then reshaped to relieve pressure on the knee joint. 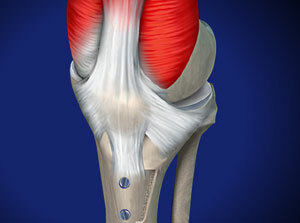 Knee osteotomy is used when a patient has early-stage osteoarthritis that has damaged just one side of the knee joint. 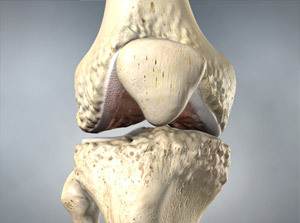 By shifting weight off of the damaged side of the joint, an osteotomy can relieve pain and significantly improve function in an arthritic knee. One advantage of the procedure is that, by preserving your own knee anatomy, a successful osteotomy may delay the need for a joint replacement for several years. Another advantage is that there are no restrictions on physical activities after an osteotomy—you will be able to participate in your favorite activities, even high-impact exercise. Osteotomy does have disadvantages. For example, pain relief is not as predictable after osteotomy compared with a partial or total knee replacement. And recovery from osteotomy is typically longer and more difficult because you may not be able to bear weight on your operated knee right away. 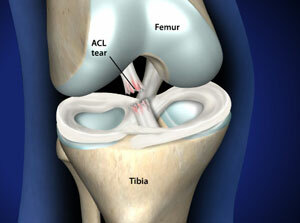 In some cases, having had an osteotomy can make later knee replacement surgery more challenging. Because results from total knee replacement and partial knee replacement have been so successful, knee osteotomy has become less common. Nevertheless, it remains an option for many patients.